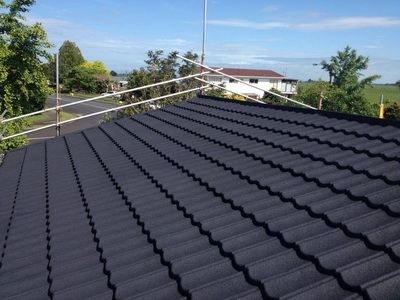 Putting your decramastic roof right at the right price. 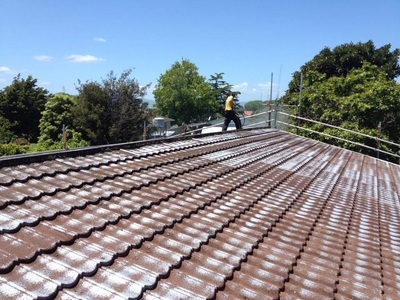 Your local Kowhai guy will add years of life and new colour to your stone chip roof. 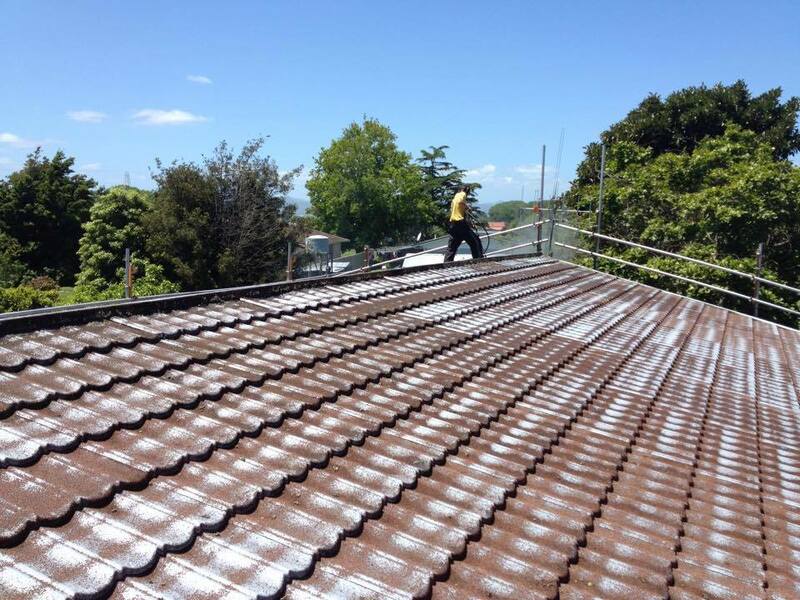 No need for expensive re-roofing. Kowhai uses the world's best decramastic coating and bonding technology to put your roof right. Any dents in the chip coated tiles will be popped out where possible and tiles will be replaced where they cannot be repaired. The roof will be soft washed. 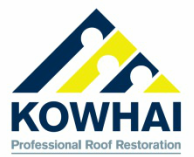 If there is mould and lichen growth the roof will be treated with Kowhai Koklean Green. The Kowhai StoneCoat ColourCoat will then be applied. StoneCoat is a 100% acrylic, high build topcoat, encapsulating stone chips and made to the colour selected from our Kowhai Colour Chart. This colour chart shows the range but may not be an exact match of the colour due to your computer settings. ​Ask your Kowhai Guy for an accurate hard copy colour chart. Please note colours may appear slightly different in full versus partial sunlight and thus on different faces of the same roof.